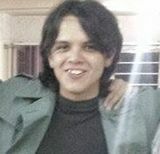 Serge is a smasher from Mexico who is considered to be the best Charizard main in Mexico and among the best worldwide. He is well known for playing a multitude of characters, such as Lucario and Cloud. He is MkLeo's cousin and Javi's older brother. Serge notably double-eliminated MkLeo in Cloud dittos at Smash@Tier3 Vol. 6, ending Leo's undefeated streak in Smash 4. He is currently ranked 4th on the Mexico City Power Rankings. Serge is the first person in Mexico to eliminate Leo in a tournament. Given to a mistake of a person in the VGBootcamp channel, there are videos with a fight and darkfall fighting in smash factor 5. This page was last edited on August 23, 2018, at 13:04.